She was the first woman to hold the job of US Attorney General, and on getting that position, held it for the duration of the Clinton administration, the longest tenure than any in the previous 150 years. 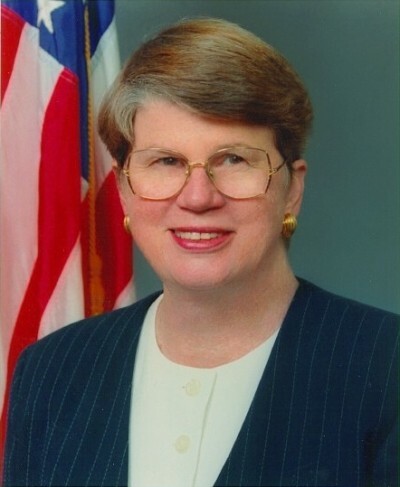 Unfortunately for her, Janet Reno will be remembered for much that was wrong with that same administration. It began with her being President Bill Clinton’s third choice, a very typical state of affairs. Both corporate lawyer Zoë Baird and federal judge Kimba Wood had been found wanting using undocumented immigrants as nannies. Reno’s two terms in office provided a foretaste of what would happen with the US National Security State in the twenty-first century. The World Trade Centre received attention in 1993 in a terrorist attack, supplying law enforcement officials with an ominous warning. In 1995, with the bombing of the Oklahoma City federal building, the divisions in Clinton’s America, with its violence, its post-Cold War illnesses, came to the fore. What Reno will most be remembered for will be less her anti-trust suit against Microsoft, or using the federal law to safeguard clinics providing abortion services, and protecting women seeking those services. More in point, the dark, bloody episode of the assault on the Branch Dravidian complex in Waco, Texas in 1993 will remain a marked stain in institutional hysteria, cruelty and massacre. The spectacle did much to bring in collision, with lethal consequences, the world of centralised law enforcement, and another America, one wishing to be left quirkily if bizarrely alone. The assault on the compound gave the sect of Vernon Howell, better known as David Koresh, a sense that Satan had made a cruel decision and had arrived to stake a claim. The siege initially began on February 28, 1993 with agents of the Bureau of Alcohol, Tobacco and Firearms. On April 19, the FBI got involved. There were a dozen tanks, accompanying 900 military and law-enforcement officials. Eighty-nine people, including Koresh and several federal agents, had perished by the end of this gruesome affair. A third of the fatalities were children. In the course of the Waco siege, and subsequent raid, Renopresided over a shoddy enterprise that saw the use of CS gas, psychological warfare, mendacity on the part of the FBI on the presence of fragmentation grenades at the scene, and the trigger happy antics of the BATF. The line Reno took was that children had been endangered in the Waco compound, though to be fair, it was a point insisted upon by the FBI. They had been sexually abused. The women of the compound were shared with Koresh in accordance with a reading of Biblical scripture. In short, the Koresh experiment had to be eliminated. It was with little surprise that subsequent, government backed investigations found the BATF and FBI faultless. In 1999, it surfaced that the FBI had made good its part in starting the conflagration that ultimately took so many lives at Waco. Her response was to send marshals to FBI headquarters to seize a tape featuring the communications that took place on the day of the assault. Reno found herself with hot water again over the 2000 custody battle of Elián González. Having been the sole survivor of an effort on the part of his mother and 10 others to cross to Floridafrom Cuba, the six-year old became a bone of contention for Cuban exiles in the state. Never should González be yielded and returned to Castro’s Cuba, where he could be united with his father. It was not to be, and in signature fashion, an incident that might have been handled with kid-glove minimal fuss became scandalously forceful. Agents of the Immigration and Naturalization Service, in bursting into the Miami home of the child’s relatives, were captured in terrifying spectacle. Again, the federal government appeared as supreme, meddlesome bullyboy. A persistent nightmare during Reno’s time in office was the rather lax, and even sociopathic approach Clinton had towards the law, a point she struggled to negotiate with. Claiming a trust in her legal instinct, she tended to refer matters of suggested impropriety on the President’s part to special counsel, though even there, she dithered. Clinton’s supporters thought her too hasty in wading into investigating Clinton’s relationship with White House intern Monica Lewinsky. In permitting an independent inquiry into the Arkansas failed land deal that came to be called the Whitewater investigation to expand, its tentacles moving into the notorious Lewinsky affair, Reno made few friends in the inner circle. Nor was she always consistent on that score. At stages she provided insulation to Clinton and Vice President Al Gore, shielding them from the eye of an independent counsel in investigating suggestions of fund-raising irregularities that had potentially been broken in 1996. House Speaker Newt Gingrich and Senator Orrin G. Hatch of Utah were vocal in questioning her independence; FBI director Louis J. Freeh had also favoured a special counsel. Having now passed into history, Reno’s period in office is a reminder about Clinton’s torn America, with its at times deadly contradictions, seedy establishment behaviour and riddling corruption. He oversaw a country at war with itself, where groups were demonised as fringe worthy devotees of a lunatic world and Washington grandees could misbehave. Now it is time for those nutty devotees to have a say in the White House.